Standing up, releasing from the system and sitting down is very quick and easy. 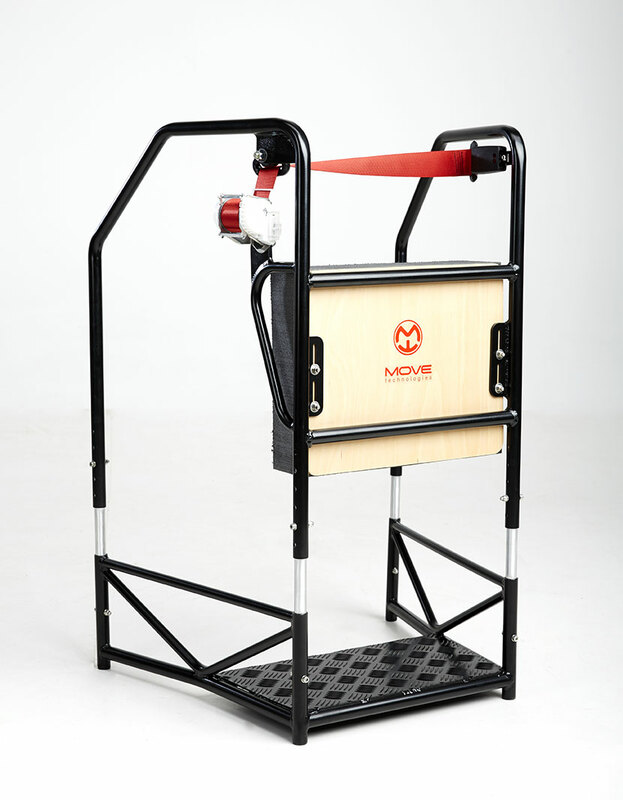 The user himself is able to transfer the steady standing frame to any location, then stand with the self effort and by virtue of the support strap adjust the most comfortable position. Parastender is simpler and easier in use and therefore more frequently used. Light weight of the solid frame, its simple construction and no need for power supply distinguish Parastender from the other present known vertical systems. 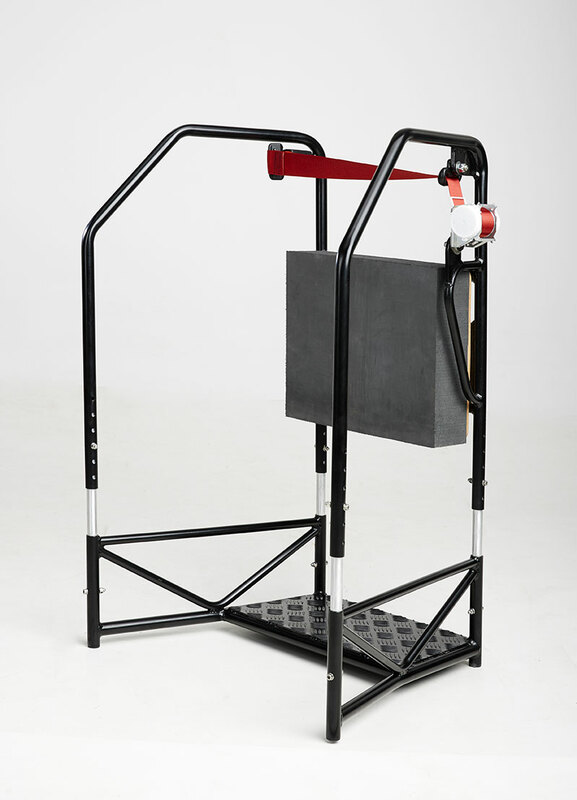 Parastender allows paraplegics to stand up more quickly and stand more often and for a longer time. Frames are custom made, adjusted to individual user’s proportions, and supplied with Mikocell knee padding as well as modified safety strap to support hips when standing. 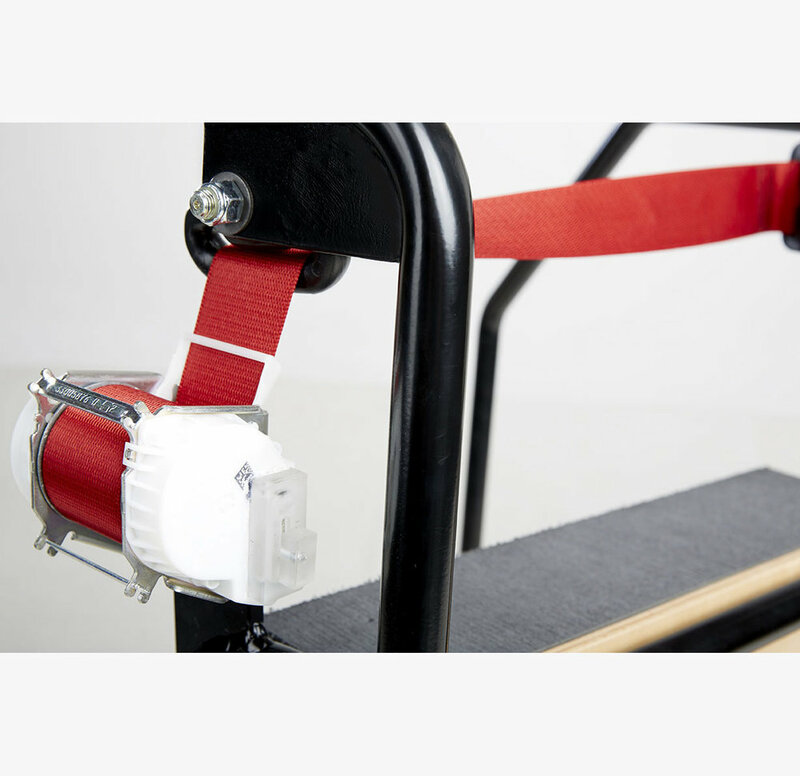 The supporting strap is adjustable and self secure.